Imaging, addressing, collating, folding, matched mailing, inserting, wafer sealing, gluing, metering, live stamping, sorting, bundling and mailing — all part of a day’s work at Digital Dog Direct. We have the resources to quickly address and process any mailing quantity from postcards to self-mailers to multi-piece direct mail packages and get them out the door fast. Our staff and equipment handle all traditional and state-of-the-art mailing services. Whether straightforward insert and mail programs or custom production of full-color, personalized mailers and inserts, we’re ready. We can even incorporate a fully personalized clean-release full-color numbered membership or discount card, which we guarantee will match the package it belongs in. In addition to in-house printing services, we can receive your pre-printed materials and warehouse them in our pristine facility. All projects follow Digital Dog Direct’s strict quality control procedures to check inserts, addressing, and matches, as well as ensure that there are no dog ears. We often turn jobs large and small around in a single day. By level-loading our equipment, rigorous training, and careful planning, we process the most complex of automated mail with ease. You can also look to Digital Dog Direct for fulfillment projects, hand assembly and kitting, booklet making, and bindery services. 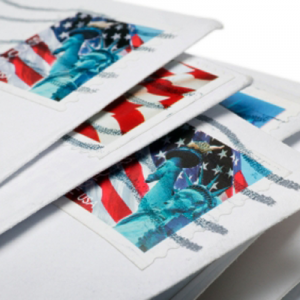 Be sure to consult with us about maximizing savings from bulk mail permits to presort first class mail to USPS Every Door Direct Mail (EDDM) programs.